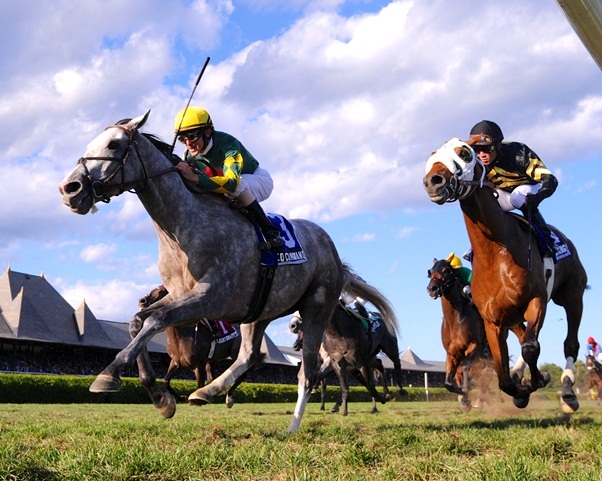 Behind every winning thoroughbred, there's a human or 2 or, actually, quite a few. As with the horses, there are far too many people who deserve special mention to do justice by picking just a few for these Highlights. But this is a blog, not an encyclopedic year-in-review. So, at the risk--no certainty--of leaving out several humans who deserve inclusion, and who other reviewers would include, here are my selections. Now this was his meet. Ramon broke the record for most wins at a Saratoga meet. Over the 40 days, he won 68 times. He also became the 1st jockey to ever win 6 races in a single day at Saratoga twice--let alone twice in a single season. Top Jockey title by a wide margin. That last one, a 10-1 upset, was part of his 2nd 6-win days at Saratoga. It was also the one with which he broke the previous record for most wins in a single meet. 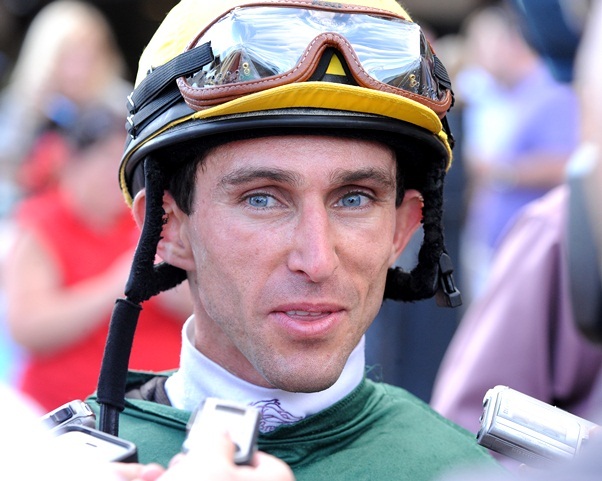 As most readers surely know, Ramon was seriously injured in a riding accident at Aqueduct on January 18. The latest news is that he is recovering impressively from a fractured skull. Reports are that he may even return to racing sometime in March. Amazing! Just as Ramon himself is. All the very best wishes for a full recovery Champ. He had broken his collar bone and suffered kidney trauma. It was a multiple-horse accident at Churchill Downs in June. Five weeks later, he returned to racing at Saratoga. 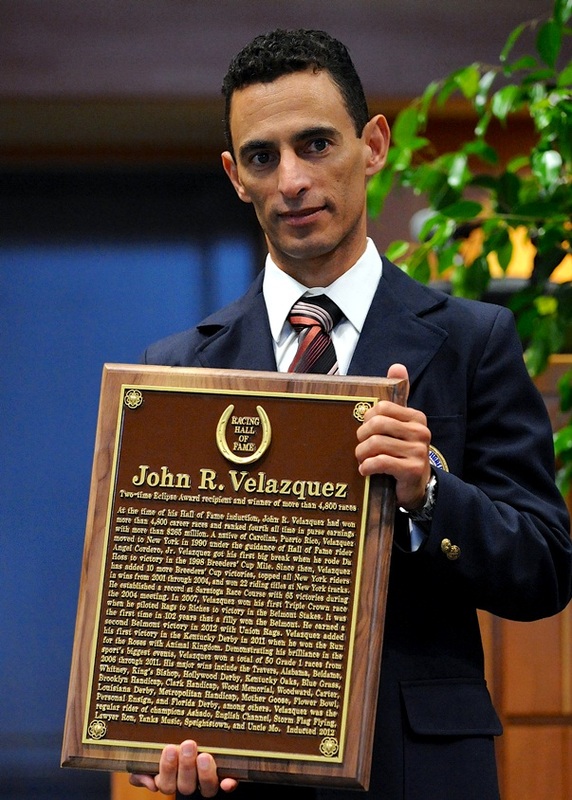 Johnny V, the fan favorite and 2-time defending jockey champ at the Spa, would be inducted into the Hall of Fame--just across the street, by the way--the following month. Appropriately, on that very Hall of Fame weekend, he was aboard the eventual Horse of the Year, Wise Dan. Johnny V rode Dan to victory in the Fourstardave [See Part 4 of the Highlights. ], just as he would in several more races in 2012, including the Breeders' Cup Mile at Santa Anita. Yes, a couple of his records were broken by Ramon Dominguez. And no, he did not win a 3rd Top Jockey title. But, as always, he had some very big victories. Besides the Fourstardave on Wise Dan, Johnny V won the Woodward on To Honor and Serve [See Part 4 of the Highlights. ], the Personal Ensign on Love and Pride [See Part 5 of the Highlights. ], the Sword Dancer on Point of Entry, the Ballerina on Turbulent Descent, and the Lake Placid on Stephanie's Kitten. All of that and a lot more, only weeks after a terrible spill and a broken collar bone. Most mere mortals would find it difficult to get back in a saddle. Let alone race and win, on the fastest horses, against the stiffest competition. That's a courageous Hall of Famer. 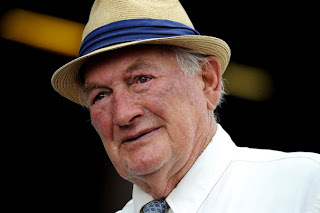 One of the most beloved figures at Saratoga, and indeed in all of racing, trainer Allen Jerkens was back in the winner's circle this past summer. The Chief, as he is affectionately known, showed that he could still do it at 83 years of age. And do it big. It had been 5 years since he won a grade 1. He was victorious with Miss Shop in the 2007 Personal Ensign. 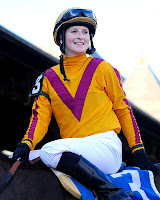 Now, in 2012, The Chief won the Prioress with 5-1 Emma's Encore. His 3 year old filly came from the back of the field, 12 lengths behind the pacesetter, Agave Kiss. She swung wide, closed strong, and won a thriller by a nose. But the most excitement and enthusiasm came immediately after the race. 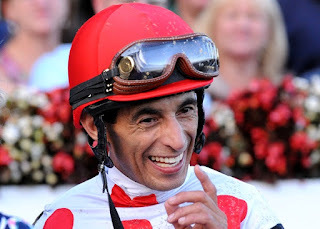 With Emma's Encore and jockey Junior Alvarado in the winner's circle, The Chief was congratulated by an appreciative Saratoga crowd with one of the most heartfelt and clamorous ovations of the entire meet. The emotionally grateful Jerkens was brought to tears. "It's nice," he was able to say. Yes it was. And it was again, a few weeks later when he won another stakes race, the Saratoga Dew, with the 5 year old mare, Go Unbridled. This time it was not a squeaker. His horse won big--6 and 1/2 growing lengths. But the throng was just as enthusiastic when The Chief entered the winner's circle. It was the Hall of Fame trainer's 1st return since his win in the Prioress, and his 2nd win of the meet. The way the fans reacted, he might have just won the Derby, the Superbowl, or game 7 of the Series. A hero at Saratoga, and in the world of thoroughbred racing. And throughout the meet, increasingly respected by the commentators and ever more popular with the crowds. 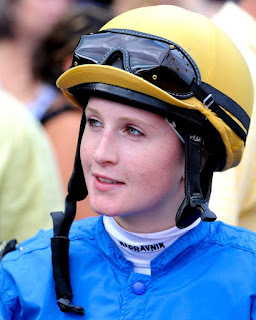 By far the top female jockey at Saratoga; likewise, the top female jockey nationwide. 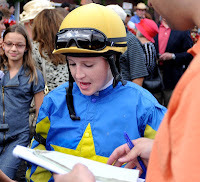 But more than that, one of the very top jockeys at Saratoga and nationwide, period! Male or female. No doubt, the fans and the writers have a special feeling for her because she's a woman doing well in an extremely male-dominated sport. Also, the fact that she's a very feminine, beautiful young woman doesn't hurt. Yes, she was the Sweetheart of Saratoga this past season. But Rosie's built her reputation on her extraordinary strength and skill and determination and success as a jockey, regardless of gender. Handicappers bet on her because she's great. She's being offered better mounts because she's great. She wins because she's great. The fans scream and cheer for her because she's great and she gives them thrilling rides. That's what rooting for Rosie was like during the meet. She always got the most out of her mounts. She gave us lots of thrilling moments. From the very first race on opening day to the very last race on closing day. Thanks for a great meet Rosie. Of course, there are others--maybe lots of others--who deserve a spot in the Highlights. Todd Pletcher, trainer extraordinaire, who won his 9th, and 3rd straight, race course title. Chad Brown, the local conditioner who was 2nd to Pletcher, with a winning percentage that's actually several points higher. 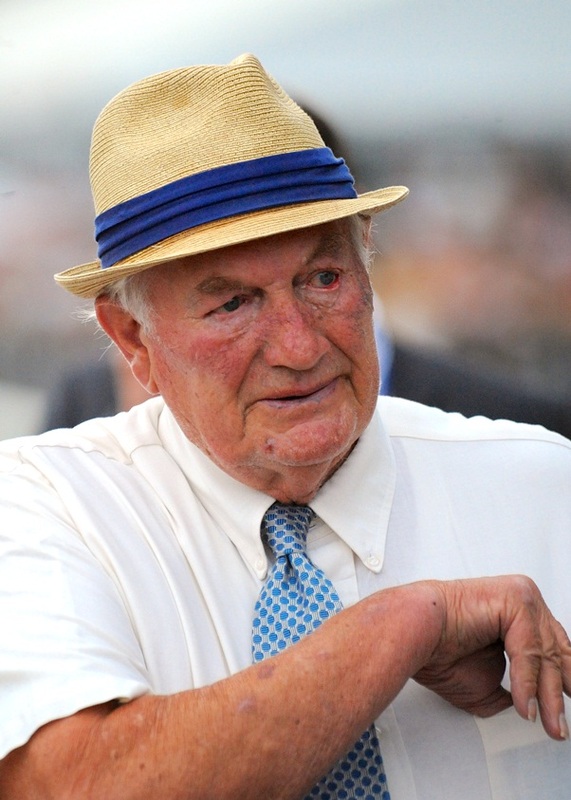 There's Hall of Famer Claude R. McGaughey III ("Shug") who fielded a much smaller number of entries, but won several big races and finished among the meet's top earners. And you certainly shouldn't leave out Tom Durkin, the voice of Saratoga, and the nation's leading caller of thoroughbred racing. But this is a series of Highlights. Got to pick and choose and keep the list manageable. (I gave up limiting it to a Top Ten the very 1st time I did this.) So maybe I should have included some I left out, and left out some I should have included. But on a couple of things I'm absolutely confident. 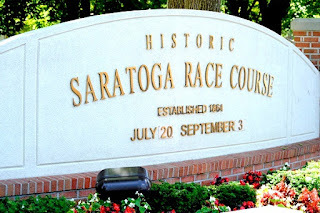 All the Highlights included do help demonstrate why racing at Saratoga is one of the great events in American sports every year. And the photos of Bob Mayberger--together with those permitted by Adam Coglianese this year--are the highlights of these Highlights. For now, it's so long Saratoga 2012. 5 months till the 2013 meet begins!! !